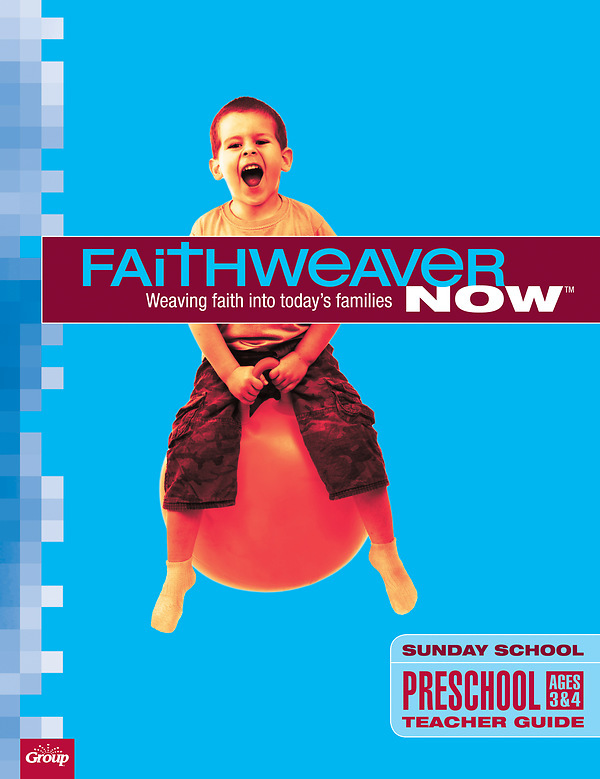 FaithWeaver NOW is a Sunday School curriculum that weaves faith into today's families where everyone studies the same Bible passage each week. The Preschool Quarterly Teacher Guide (for 3 and 4 year-olds) equips you to lead memorable, life-changing lessons. *Note: One Teacher Guide is included in the Teacher Pack. Order extras for additional teachers. Teachers prayerfully prepare using the Bible Background and Jesus Connection at the start of each lesson. Age-Level Insights help you understand children's developmental stages-and relate to them more easily! Flexible Time & Space Needs. Optional activities give you instant flexibility and control. Additional already-prepared lesson extenders means teachers have ideas for additional time or to better suit the children's needs!